The billboards, one at the corner of William Nicol drive between Old Kilcullen and Peter Place and the other at the intersection of Sandton and Grayston Drives, are located in high traffic zones meaning the messages they carry will be seen, not only by the intended recipient, but by everyone passing by. A pro-active idea developed by NetFlorist’s marketing partner, FCB Joburg, the billboards are being promoted by a radio campaign featuring the ‘fabulicious gifting guru’, Harold. 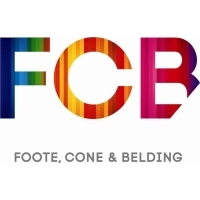 “As that rather naughty character created by FCB Joburg to break through advertising clutter says, the only thing that’s not better when it’s bigger is a kidney stone; particularly when it comes to love, appreciation or friendship,” said NetFlorist’s Head of Marketing, Thalissa Theeruth. “When FCB Joburg suggested we add the opportunity to personalise a billboard idea to our range, we immediately saw the benefit. The team that conceptualised the idea was led by Executive Creative Director, Jonathan Deeb, and comprised Creative Directors Erin Brooks and Natalie Elsener, and Copywriter Este De Beer. Production house Frequency and Continental Outdoor helped bring the idea to life. The cost of the grand gesture – which is limited to eight words – is only R1 000. 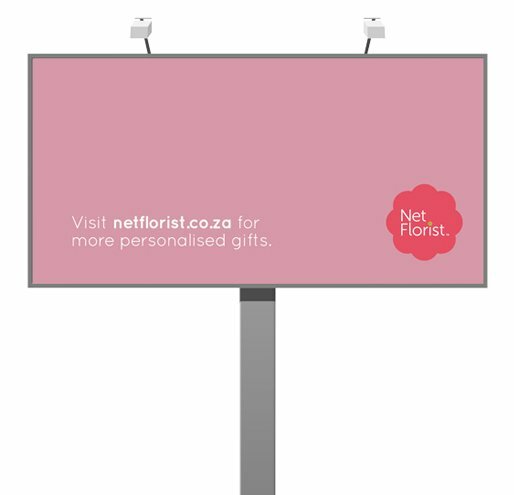 Because the billboards are located in public spaces, NetFlorist has reserved the right to vet the message.